Roseta Santiago is a storyteller. At first glance seeming to be impressionistic realism, Santiago's compositions venture far beyond the simple fruit-and-bowl tableaux that so many still life artists pursue. She focuses instead on the world of an earlier time, creating stories on canvas told by objects ranging from ancient Native American pottery and baskets to Asian sculpture and woodblock prints; from bird nests and eggshells to bleached deer antlers found in the mountains of the Southwest. Santiago's stunning still life work exhibits the mastery and precision of an artist who has spent a lifetime as an oil painter. 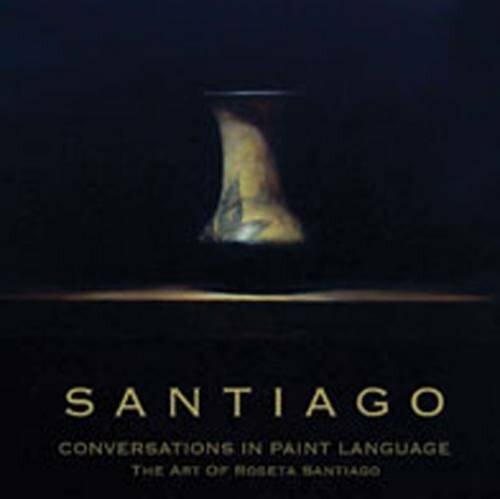 Conversations in Paint Language is a deep look into our inner selves through the eyes of Roseta Santiago. If you have any questions about this product by Fresco Fine Art Publications LLC, contact us by completing and submitting the form below. If you are looking for a specif part number, please include it with your message.